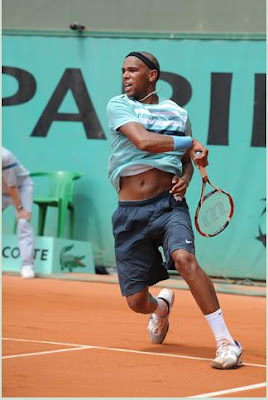 Frenchman Josselin Ouanna puts his abs on display at Roland Garros. 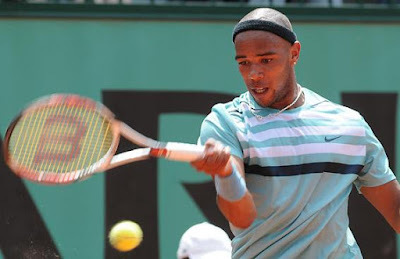 Advancing to the second round of Roland Garros today, Frenchman Josselin Ouanna put his fighting spirit on display. After winning the first set against Spaniard Marcel Granollers 7-5, Granollers took the next two sets 6-2 and 6-3. Ouanna fought back through a fourth set tiebreak 77-62 to finally take the fifth set and the match 6-1.